Glassing the hillside using my Swaro 15x56's, rented from Open Country Optics. Click HERE to check them out! Probably one of the best things I could hear from a friend after a frustrating opening weekend for over the counter archery deer. Overall I guess it wasn't too terrible. I saw a TON of deer! I also got a nice 50-yard stalk in on one decent buck and even shot at a coyote just narrowly missing him. Interestingly enough I witnessed the entire deer herd shift their typical residency a few ranges over for what seemed to be no apparent reason. Places where I would normally see deer by the droves suddenly had none at all, zero, zilch! I'm not 100% certain WHY this happened. But I saw a few factors that may have played a hand in this event.. I experienced and watched coyote’s pressuring deer. At first, I glassed a single coyote trolling the mountainside just scoping things out. He came within 80 or so yards of some bedded deer. A few days later while stalking a buck I witnessed the same coyote coming back again, but this time bringing backup. Both of the coyotes made a direct approach towards the herd's location as if on a mission for food. There was no mistaking their intent, sometimes you just know what they're up to. It was very interesting to see this going on and a little irritating at the same time. I was having enough competition with drastically changing winds due to incoming and outgoing monsoons cells, I did not need predation to add to the already difficult equation as well! But the game was on! The coyote's made their approach up the hill towards my position. I was already in place, crouched in an ambush position. I had decided to transform my blown stalk into another opportunity to level the playing field and eliminate some predators. The coyote pair wasted no time as they rapidly approached my position. I was a bit in shock at the careless haste they carried in their pace. As I concealed my position with a large bush I could acknowledge immediate firing lanes to my 10 o'clock and 2 o'clock. The coyotes began to stray towards the 10 o'clock lane and I shuffled silently and drew back my bow. I didn't have time to range the path I knew they'd cross through. I've been notorious for under guessing my yardage, "That looks about 30" I said to myself. "Better shoot for 40 then." I heard my heart begin to thump in my ears, "there's the adrenaline dump, now focus through it." I saw the golden/tan fur begin to appear just slightly, moving with speed through the small opening. I placed my 40-yard pin in the small of the coyotes armpit and completely tunnel visioned in on the coyote. I watched as my arrow disappeared behind my 40-yard pin. I saw the coyote hit the ground so hard I thought surely I had killed him where he stood. Unfortunately, my arrow either so lightly grazed him he hit the ground in an effort to dodge it or I missed by millimeters over his back. Whatever happened, I surely instilled the fear of God in him. He dashed off into the brush scared out of his whits. "*SIGH* Back to the drawing board for the next hunt!" As frustrating as times like this can get, in the back of my mind I'll always remember that phrase my friend said, "you never quit... if you weren’t sleeping to recover you were out there churnin' dirt on that mountainside." Somewhat bummed out I packed it back to camp. Grateful however for the times like this where I am still able to have been this close even multiple times in one day and to walk away with more experience and more opportunities to learn and evolve as a hunter. Time to rest, recover, then get out there and churn that mountainside dirt again. All in all, I had a phenomenal 4 days in the wild. I still have plenty of time to fill this archery tag and I also have a rifle tag come November, should I need to use it. It's without a doubt that I'll get back out there again a few times before rifle season begins. Something about taking big game with a bow has such a draw to me. Maybe there's a deeper meaning that's part of my DNA, part of my primal instinct ingrained into me. It just feels so, pure. Until then, I'll be day-dreaming and playing out scenarios in my head and on the maps! For QUALITY hunting maps check out Flatline Maps! 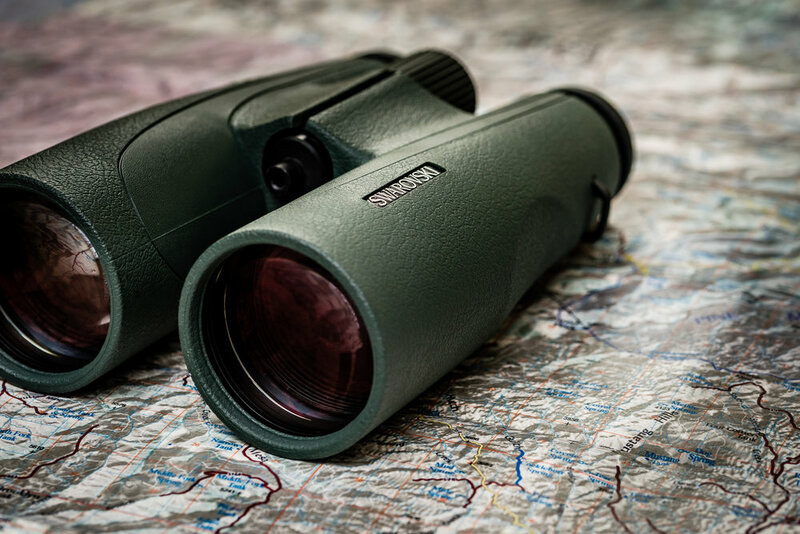 "Get where they live"
Want to try out quality optics before you buy? Or maybe just rent a solid pair of binos or a spotting scope for an upcoming hunt? Check out Open Country Optics! Use code "BHAZ" to get 5% off any rental OR $50 off any optics purchase! Don't forget to check out the BowhuntingAZ store! A limited quantity of the new BowhuntingAZ hats are coming soon. NEW! Check out the all new BowhuntingAZ bow rack! Now available in store with FREE SHIPPING! What better way to showcase your bow than this custom hanger! Don't leave your bow sitting around in a case hidden somewhere. Show off your BowhuntingAZ pride!